The steel door model can be used as a villa door with the desired color and optionally glass. Optionally, walnut dark walnut colors can be used as well as cream and walnut colors. Can be used as glass when used as a self-contained entrance gate. In the steel door design made up of the columns, the oval pattern was used in the open walnut. The main pattern and body of the door were used in dark walnut. 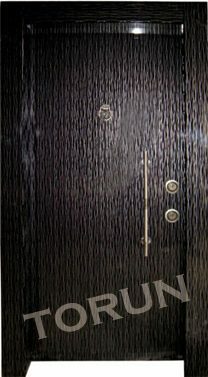 As with all other luxury steel door models, this model door can also be used with fingerprint door locks. Fingerprint door lock to general steel door prices is not included in the price of steel door. You can get steel door price information from our customer representatives about the price of luxury steel door including finger lock door lock. 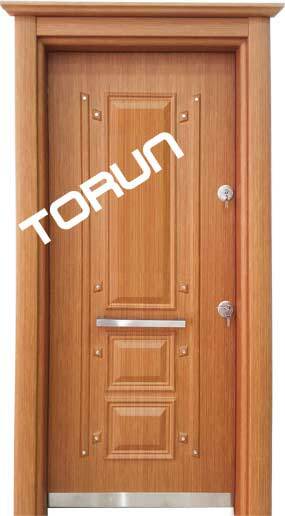 Torun Steel Door is our new models. We are continuing our efforts to provide you with more stylish, more convenient and more secure new door models. 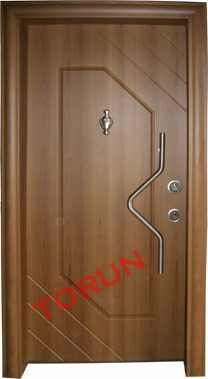 Detailed information about the door can be found on our site as Luxury Steel Door Technical Information. If you wish, you can contact our customer representatives by calling our company. 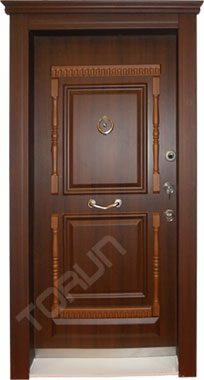 Holding Torun Steel Door in the upper level of quality and production continues in various models. In our T-319 model, sales were offered with a more elegant and differentiated visual presentation. You can find details about the door on the technical details page of our site. You can get it by calling our customer representatives.